College Band alumnus our next Secretary of State? Regardless of your political opinions or voting record we can all agree that watching a college band alumnus achieve at a high level professionally is great for the college band world. It is no secret that college band members excel in school and go on to be doctors, lawyers, scientists, teachers, engineers and yes even politicians. In fact the largest percentage of degrees obtained by college band members is in engineering. They make up around 25% of a college band on average. One of those engineering and college band alums was just tapped as our next Secretary of State, Rex Tillerson. In 1971 Tillerson began his education at the University of Texas in Civil Engineering. He would tryout and make the Longhorn Band as a member of the drum line. His experience in the band is still one of his fondest memories from college. In 1973, Tillerson and the band marched in the Cotton Bowl. There is a legendary story of a fellow member of the band named Danny Gonzales who wanted to march on the drum line, but was assigned to march in the guard. Danny knew the drum parts and the drill and just needed someone to give him a shot. Before halftime at the Cotton Bowl, Tillerson turned to Gonzales and took his drum off of his soldier. He gave it to Gonzales and told him to go march his spot. Gonzales was shocked and still to this day gets emotional while telling the story because that moment meant so much to him. Gonzalez and that story was recently profiled in a local Fox San Antonio story. After graduation, Tillerson went to work for the oil giant ExxonMobil and in 2006 he was selected as the Chairman and CEO of the company. He was also the National President of the Boy Scouts of America and is an Eagle Scout himself. 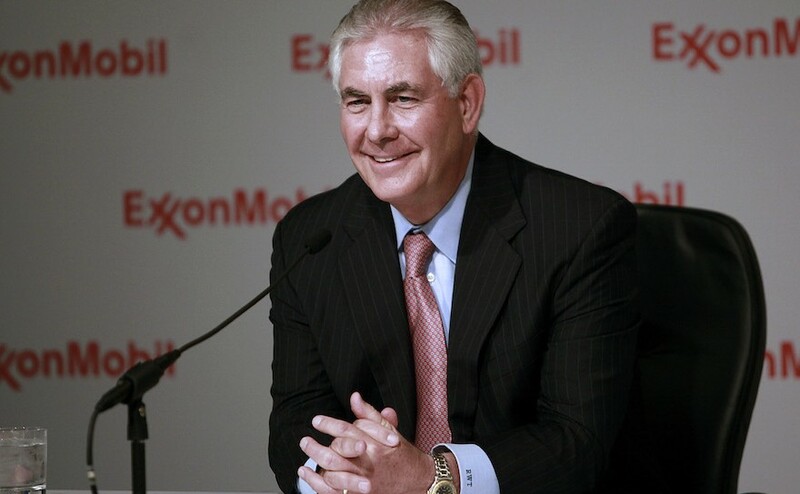 Tillerson has helped build ExxonMobil into the largest oil and gas company in the world valued at over $370 billion operating in approximately 50 countries. He is a longtime supporter of the Longhorn Band and to this day will happily state how much legendary Longhorn Band Director Vincent DiNino impacted his life. Forbes listed Tillerson as the #24 most powerful person in the world this year and that was before he was ever considered for the Secretary of State. Not bad for an alum from the drum line! Time to step up your game Baritone alumni. You're supposed to be the smart ones.